Item # 316856 Stash Points: 2,995 (?) This is the number of points you get in The Zumiez Stash for purchasing this item. Stash points are redeemable for exclusive rewards only available to Zumiez Stash members. To redeem your points check out the rewards catalog on thestash.zumiez.com. 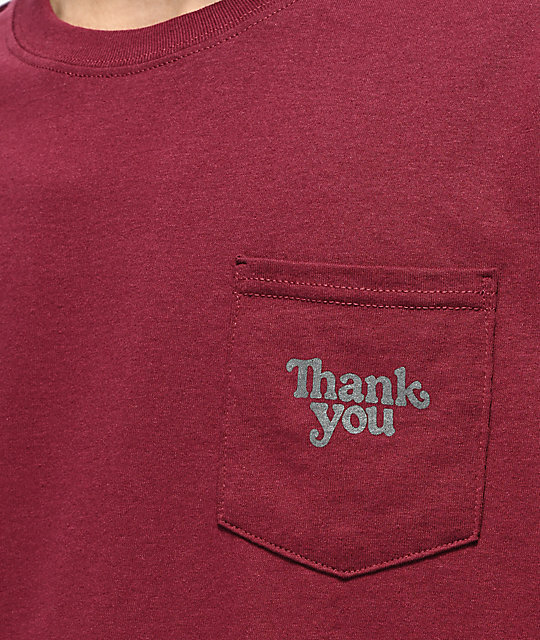 Show some love for one of the newest skateboard companies out on the streets today by rocking the Thank You Burgundy Pocket T-Shirt. Brought to you from both Daewon Song and Torrey Pudwill, this red wine colored top features the brand's signature logo script printed across the left chest pocket for a simple, yet bold look. 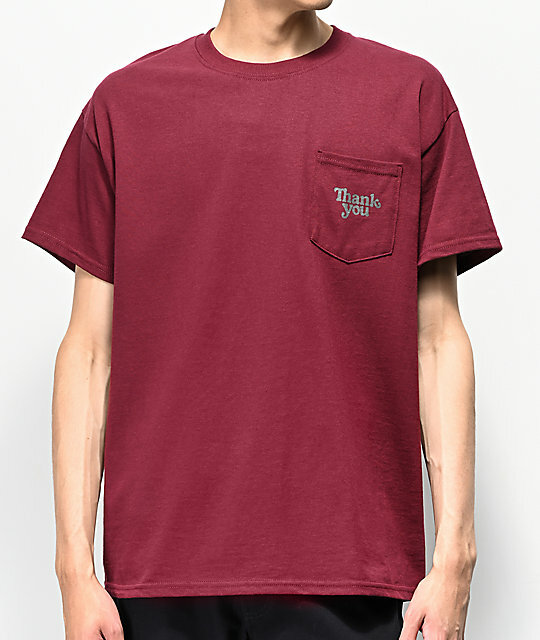 Burgundy Pocket T-Shirt from Thank You Skateboards.